Welcome to our website about Negril Jamaica's world famous 7 mile beach. We have put together a variety of choices of resorts and hotels along the prestine white sandy beach, and the more laid back cliff resorts and hotels. We also have a full listing of all inclusive resorts in Negril. You can also find a large choice of local restaurants and bars, and some interesting if not exciting activites and attractions that will certainly keep you busy and entertained. We would like to thank you for visiting our website and encourage you to keep up to date on Negril information by joining our Facebook group. 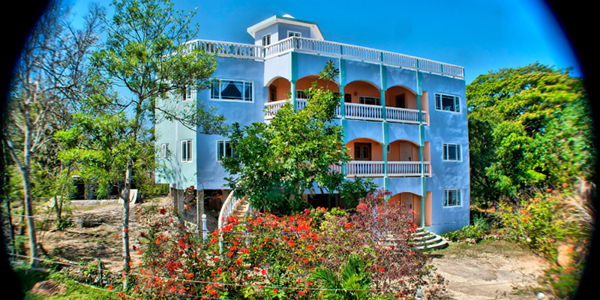 Jah Freedom- Inn, Negril - Located on Westland Mountain Road on the West End. This is very conveniently located only about a 5 minute walk or a 30 second drive from the center of Negril. The house is a 3 story house with magnificent views overlooking Negril Beach. Click here for more information. The luxurious resort town of Negril in Jamaica basks under the sun in pleasant year round temperatures. Vivid turquoise water, clear blue skies and white sandy beaches all provide splashes of enthrawling colors. It's image as a resort destination started growing in the mid twentyeth century when the town was exposed to an influx of visitors. It's pristine shores and amazing water quality has meant it's continuous appearance on the greatest beaches list. Also complimenting this honor are activities such as scuba diving, or snorkeling, perfect for those seeking a more active vacation. As the home of some of the islands greatest resorts, Negril is rightly called a vacation paradise of Jamaica. 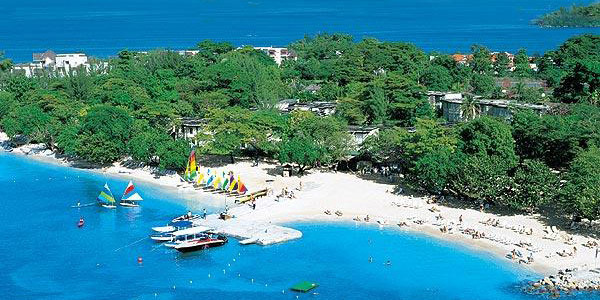 Negril is famous for its miles of cool, white sandy beaches. One of the most beautiful towns in Jamaica, it has a more laid back atmosphere than that of Montego Bay. When you stay at a hotel on the beach you are literally on the beach when you walk out of the beachside of your hotel. Negril's development as a resort location began during the late 1950s, though access to the area proved difficult as ferries were required to drop off passengers in Negril Bay, forcing them to wade to shore. Many vacationers would rent rooms inside the homes of local Jamaican families, or would pitch tents in their yards. The area's welcoming and hospitable reputation grew over the years and the first of many resorts were constructed in the mid to late 1960s. Read more about Negril's history.